So the good news is, I really like the way the twisted slipped stitch pattern looks with the Solemate yarn. It breaks up the pooling a bit and looks pretty neat! The bad news is, while I was admiring the pattern, I was ignoring the little voice in my head that was whispering, “it’s too big.” I finally got out my ruler, checked my gauge (26 stitches over 3 inches), plugged it into my calculator (8.5 inches times 26 stitches divided by 3 inches, minus about 10% for a snug fit), and came to the painful realization that I’m going to have to frog it and redo. Again. 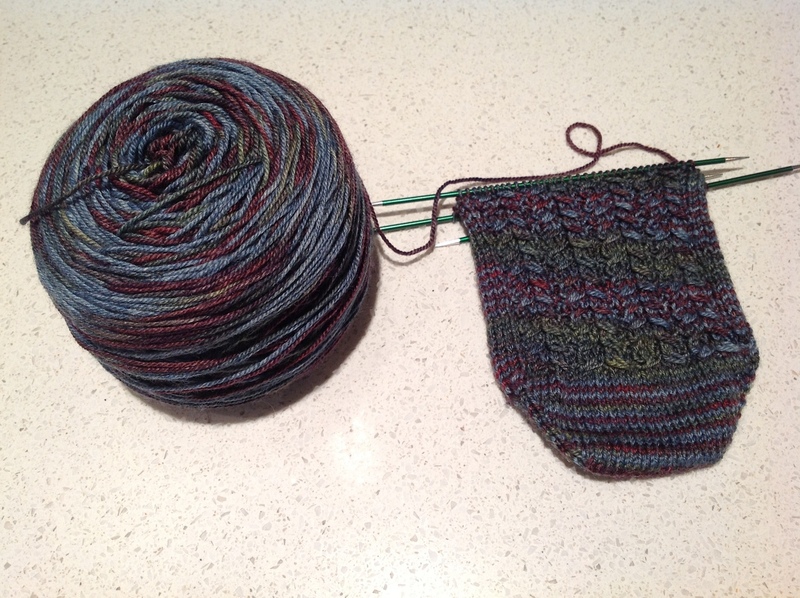 Posted on June 28, 2012, in design, knitting, math, projects and tagged frogging, gauge, knitting, socks. Bookmark the permalink. Leave a comment.